Socialism was man’s most ambitious attempt to supplant religion with a doctrine claiming to ground itself in “science.” Indeed, no religion ever spread so far so fast. 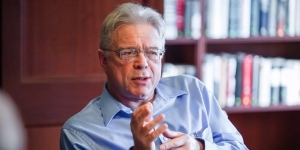 Yet while socialism had established itself as a fact of life by the beginning of the 20th century, it did not create societies of abundance or give birth to “the New Man.” Each failure inspired new searches for the path to the promised land: revolution, communes, social democracy, Communism, Fascism, Third World socialism. None worked, and some exacted staggering human tolls. Then, after two hundred years of wishful thinking and fitful governance, socialism suddenly imploded in a fin du siecle drama of falling walls and collapsing regimes. 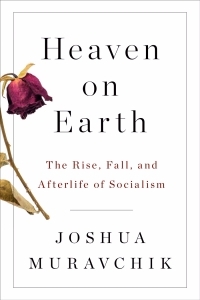 In Heaven on Earth, Joshua Muravchik traces this fiery trajectory through sketches of the thinkers and leaders who developed the theory, led it to power, and presided over its collapse. We see such dreamers and doers as the French revolutionary Gracchus Babeuf, whose “Conspiracy of Equals” were the first to try to outlaw private property; Robert Owen, who hoped to plant a model socialist utopia in the United States; Friedrich Engels, who created the cult of Karl Marx and “scientific” socialism; Benito Mussolini, self proclaimed socialist heretic and inventor of Fascism; Clement Attlee, who rejected the fanatics and set out to build socialism democratically in Britain; Julius Nyerere, who merged social democracy and communism in the hope of making Tanzania a model for the developing world; and Mikhail Gorbachev, Deng Xiaoping and Tony Blair, who became socialism’s inadvertent undertakers. Muravchik’s accomplishment in Heaven on Earth is to tell a story filled with character and event while at the same time giving us an epic chronicle of a movement that tried to turn the world upside down–and for a time succeeded.